Maxwell Morin loves programming, cooking, traveling, and building pipe lamps. 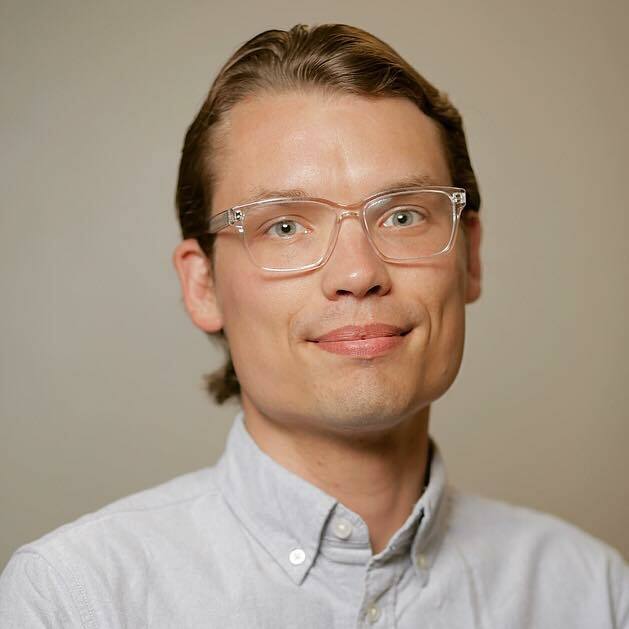 Currently I work as a Software Integration Manager and full-stack engineer at SpotterRF, a company that builds compact radars for commercial and military use. Previously, I did consulting work at the University of Maine's Physocology Department, and worked on the Help Desk at Cianbro. I also go my BS in Computer Science at the University of Maine. 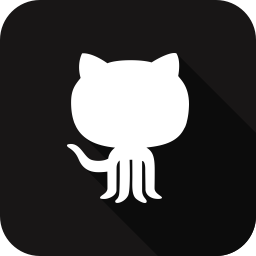 For more info, check out my projects on GitHub. 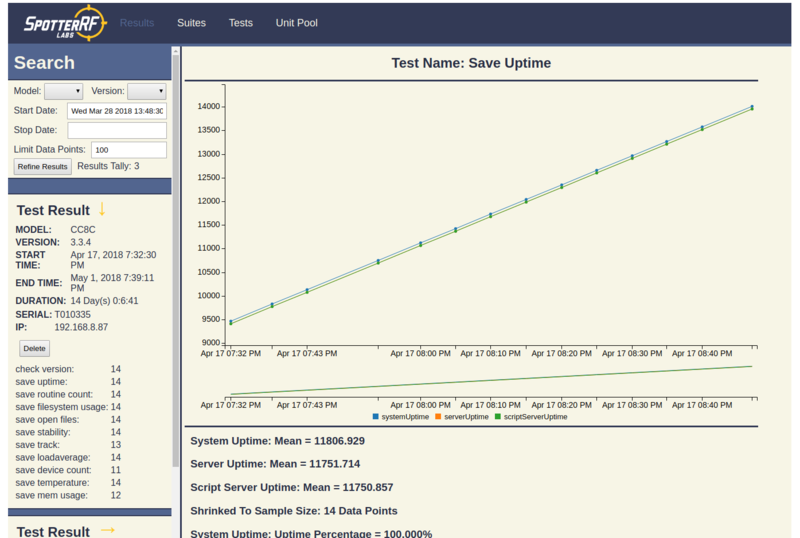 NIO Stability Test website is tasked with running and documenting the results of a comprehensive stability test against the latest NIO software dev build. The website offers the ability to view charted results (vis C3JS) of all previous stability tests, create customized tests, start/stop tests, and add/delete devices to be tested. NIO Settings page consists of all the changeable functionality within Spotter's NIO. The settings page comprises of four individual tabs that house similar functions/features. The page was redesigned with a modern styling while retaining an industrial look. In my graduate level Advanced Unity Programming course I choose to do a 2D game. I did two projects that semester and this was my first one. Titled Lost in Space, this was a remake of Salvare that I did two years prior. 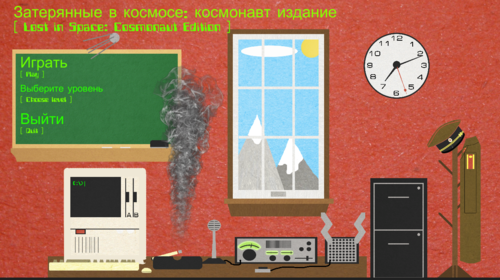 This game was built in Unity(V4.6), images were created in Photoshop, and the music was provided by the Russian Red Army Choir. This showcases Unity's 2D assets through a 2D physics simulation where the player must orbit around planets by using a limited amount of fuel to nudge the probe. 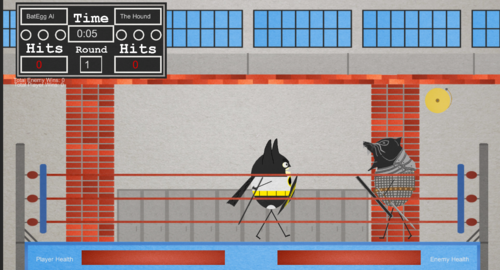 In my graduate level Advanced Unity Programming course I choose to do a 2D game. I did two projects this semester and this was my second one. This game was built in Unity(V4.6) and the images were created in Photoshop. This title demos Unity's Rigidbody 2D physics where two AI battle. The game showcases independent limb-to-limb movement instead of the traditional character controller approach. The logic the AI follows is built from three simple rules. If the enemy has a distance larger more than 25, move closer. If the enemy has a distance less than 12, move away. Upon being hit, the character will randomly choose between three attack styles, clockwise, counter clockwise, and random. Also there is a small random chance of jumping too, how fun? 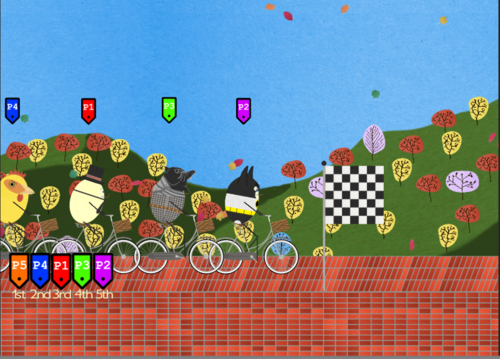 Eggcite Bike was created in Unity(V4.6). Every character and bicycle is powered by the use of Rigidbody2D, WheelJoint2D, HingeJoint2D, DistanceJoint2D, and SpringJoint2D components. The bicycles are powered through the WheelJoint2D components that rotate the wheel itself to create movement based upon user input. The goal is to reach the end of the level without crashing. Since you had no choice but to be an egg if you collide with anything you will break. You can rotate the bicycle by pressing the Q/E keys to help maintain balance. Introductory Unity programming course where my final project for the class was to create a game. I choose to produce a 3D action game that featured a realistic medieval environment. The game featured a one square mile realistic environment, night-day system, enemy AI, and rag-doll physics. The game makes use of multiple assets such as: UFPS (Player/AI mechanics), UniStorm (weather), Medieval World Creation Kit (buildings), and the sound effects from Chivalry: Medieval Warfare. In my Independent study (second Unity programming course) I produced a 3D game showcasing dialog within video games. My project consisted of five NPCs that offered missions and multiple dialog outcomes. 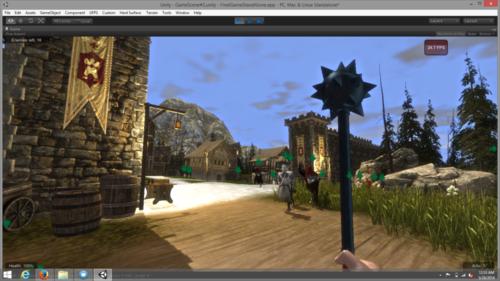 The game makes use of multiple assets such as: UFPS (Player/AI mechanics), UniStorm (weather), Medieval World Creation Kit (buildings), and Dialogue System (dialogue). 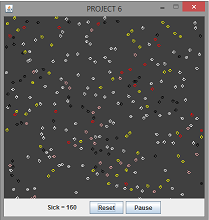 Group project that consisted of creating a Python game using the PyGame SDL. Unfortunately this group project turned into a solo project with the entire application was designed/built by myself. 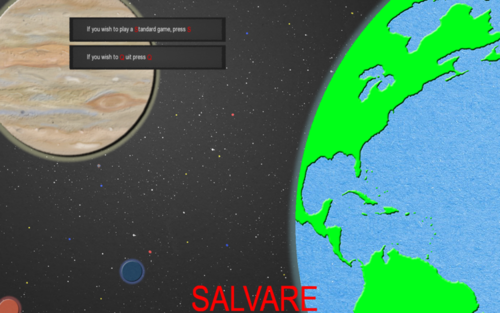 The game is titled Salvare (Latin for savior) and is a 2D Newtonian Physics based orbit simulator. The objective of the game is to launch a probe from Earth and using a limited amount of fuel nudging it so that it will orbit other planets. The artwork was created using public domain images of construction paper and manipulated in Adobe Photoshop. This won second place at the 2012 UMaine Gaming Expo. Three main features: Alpha Blending: This was accomplished by creating two separate images, a planet and it's ozone layer. The ozone layer was created as a PNG which supports Alpha. In PyGame, the ozone layer was placed behind the planet with Alpha enabled. Animation: Animation was achieved in the main menu by having the probe that was set as it's own PyGame Surface to follow a circular motion. This allowed the probe to move fluidly producing smooth animation. Performance Optimization: All objects that moved were instantiated on their own PyGame Surface and added to an Array which was then called upon at the end of the main while loop. This provided a way to have a single draw call and only redraw what was necessary. In my object-oriented programming course I created a simulation with 'turtles' that were set on a random path. Upon a turtle and turtle collision they would become sick, turn a darker color, and slow down for a certain length of time. If a turtle collided while being sick, each subsequent collision would increase the duration of it's sickness also changing it's color and speed. There was also a GUI window that displayed the current turtle's direction and color. The simulation also included a counter for the infected turtles and a reset/pause feature. NCBrowse 2.0 is a Java based NetCDF visualizer that was initially developed by Donald W. Denbo employed by theNOAA/PMEL/EPIC group. 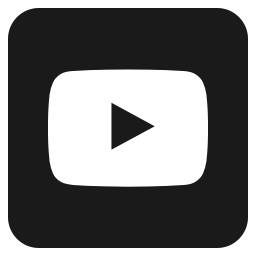 I took this application and added further functionality such as a separate panel to display a ncDump, allowing up to eight variables be displayed even across all screens, and allowing simultaneous (multithreaded) videos. 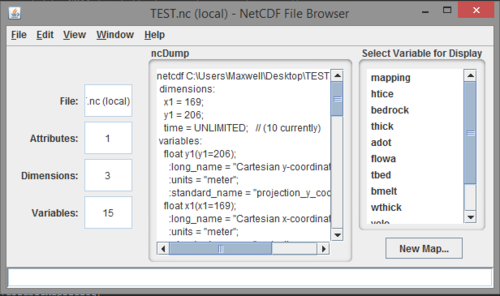 This project was intended to provide Phillip M. Dicken's Supercomputing Lab at the University of Maine a useful application to display NetCDF files. 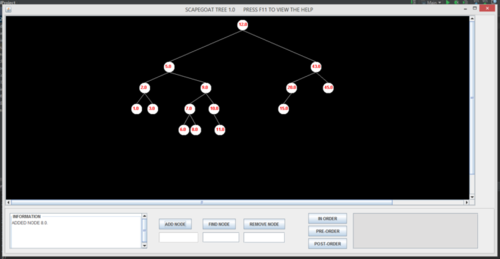 My visual Scapegoat Tree was built in Java using Swing Components and intended to be an educational tool for those learning databases, specifically Scapegoat Trees. The application supports adding, finding, or removing a node and producing an in-order, pre-order, or post-order traversal of the Scapegoat Tree. This was developed in a two person team consisting of Dylan Lougee and myself. In my software engineering class we were divided into groups of nine and each assigned a few specific roles. 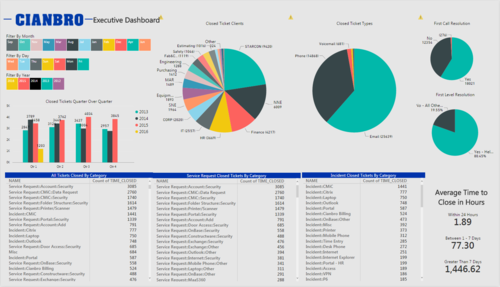 The project was tasked with creating an application solution for a representative of Bangor Savings Bank that would be used by their help desk members taking incoming calls. 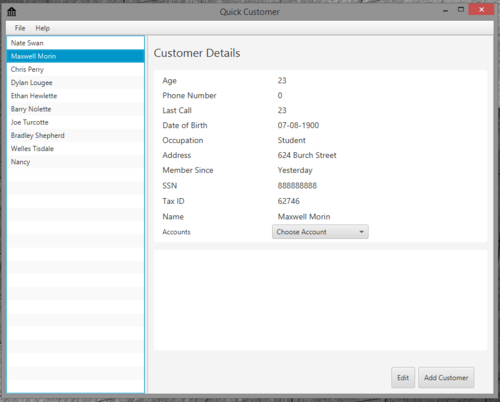 The application would pull the phone number and run it against a SQL database and display relevant information. 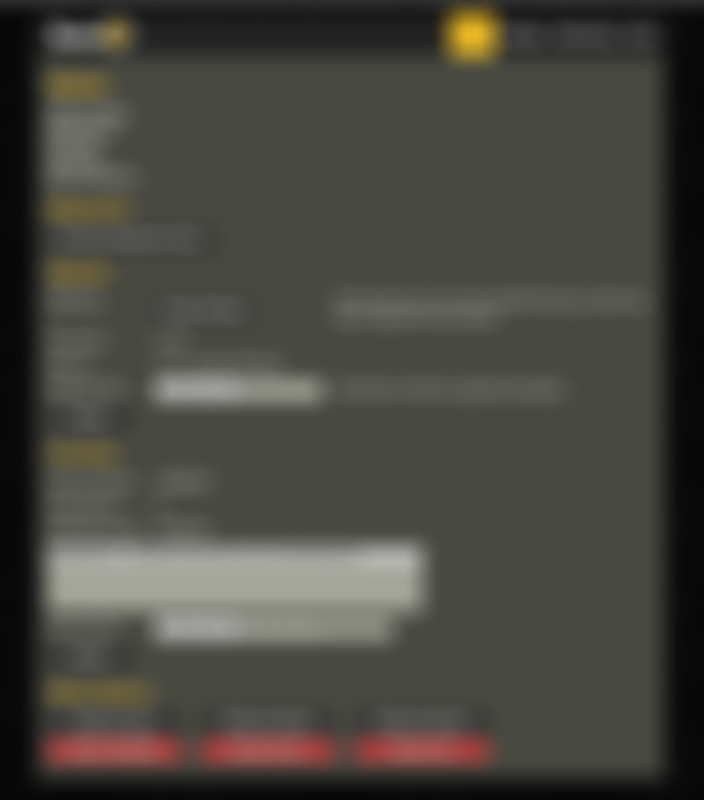 Our application was built in JavaFX with my primary role being UI I was tasked with implementing the frontend. In a group of four we were tasked with implementing three separate algorithms of various complexity in a language of our choosing. Our group was given Longest Common Substring, Satisfiability, and the Clique problem. We did solo implementations for Longest Common Substring, Satisfiablity, and worked together for the Clique problem. 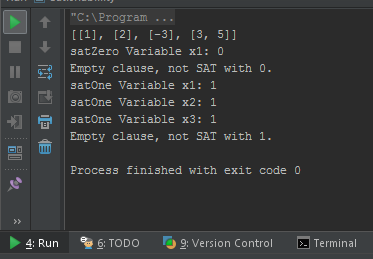 I choose Java as my language of choice for my two implementations. Also created a customized filter slicer that allows you to filter by year, month, and day. 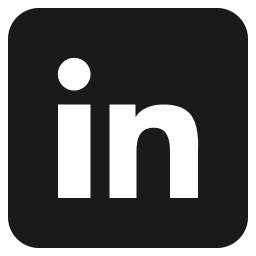 Experienced in providing customer satisfaction by creating customer solutions while in store and onsite for personal and business environments; experienced answering incoming technology support phone calls from individuals and businesses offering immediate solutions or scheduling an in store drop off for on-site repair. Four years of technician and tech manager experience for Computer Essentials; two years volunteer experience for Eastern Maine Community College IT Department; one year work-study experience for University of Maine Technology Support Center; one year working as a Help Desk Analyst at Cianbro. 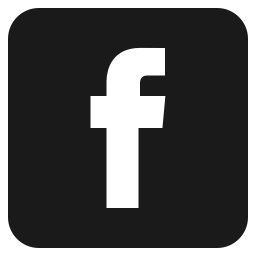 Experienced in repairing Mac Pro (2006-2009), iMac (2006-2011), and Mac Mini (2006-2009) hard drives, RAM, logicboards, miscellaneous cards, cable management; experienced in system building, stress testing, and diagnostics. Experienced in repairing MacBook (2006-2010), MacBook Pro (2006-2012), MacBook Air (2012), and PowerBook (2002-2004) hard drives, RAM, logicboards, miscellaneous cards, and cable management; experienced in system building, stress testing, diagnostics, power jack soldering, assembly, and disassembly. Experienced in repairing iPhone (original-5), iPod Touch (2010), and iPad (original); replaced batteries in out of warranty iPhone, iPad, and iPods. Object-Oriented Programming MS Office 2003/2007/2010/2011 MS Windows 98/ME/2000/XP/Vista/7/8(8.1)/10 OS X 10.4-10.13 iLife/iWork Suite (2006-2011) Proficient iOS experience in versions (1.0-8.1.2) Managerial Experience Two years tech manager for Computer Essentials Managed a three person team; monitored continued workflow for in store and offsite appointments. Orem, UT Full-Stack Engineer Product owner of Manufacturing Software. Duties include the design, construction, test, and maintenance of Manufacturing Software. Managing the server room. Also font-end development work for other software and special projects. Pittsfield, ME Help Desk Analyst Check maintenance of IT computer equipment on a weekly basis; log call data and monitoring usage of IT equipment on a daily basis; complete special project work as needed. Orono, ME Technology Consultant Deliver technology and repair solutions to the psychology department’s lab equipment and personal computers. Orono, ME Student Computer Tech IV Check maintenance of IT computer equipment on a weekly basis; log call data and monitoring usage of IT equipment on a daily basis; complete on-site technical assistance and special project work as needed. Orono ME Student Conference Aid III Checked in conference guests, summer sports camps, and summer resident students; programmed key cards for rooms; responded to conference needs. Bangor, ME Volunteer Student Computer Tech Checked maintenance of IT computer equipment on a weekly basis; logged call data and monitoring usage of IT equipment on a daily basis; completed on-site technical assistance and special project work as needed. Bangor and Ellsworth, ME Tech Manager Maintained, adjusted, upgraded, serviced, and repaired computers, networks, and peripherals; recovered data; replaced disk drives, disk drive controller boards, cables, broken keyboards, ram, and logic/mother boards; soldered power jacks; managed workload across the department. Bangor, ME Easy Tech Completed basic computer repairs such as virus removal, ram and hard drive installation, OS installation, and setting up backup programs; Greeted customers; Served as a resource for customers.